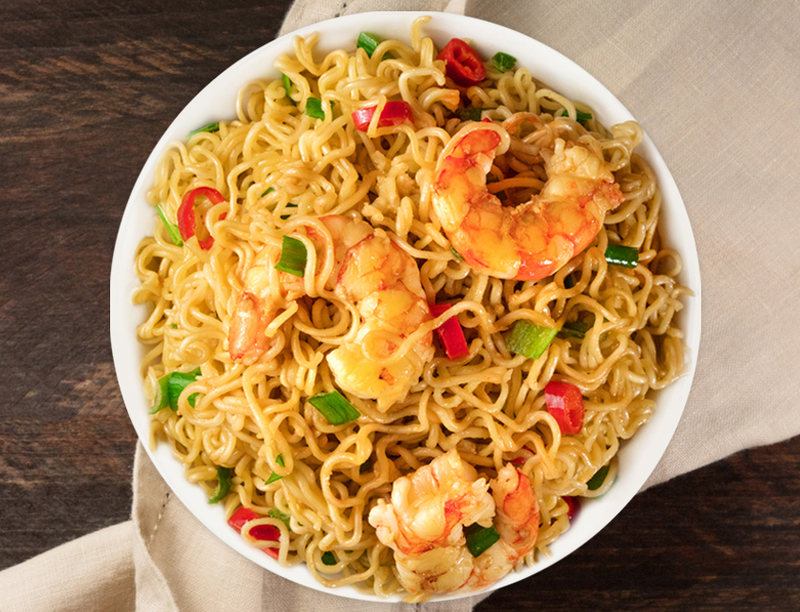 Conquer weeknight dinner woes with our Marukan Quick and Spicy Shrimp Ramen Noodles! Cook ramen noodles according to package instructions without seasoning. Drain and set aside. Combine rice vinegar, soy sauce, honey, minced garlic, salt and pepper in a bowl and mix together. Then add the peeled, deveined shrimp and coat with sauce. Add shrimp to a greased pan, leaving some sauce in the bowl, and cook until pink. Then add the the noodles, remaining sauce and stir together. Next add the chopped green onions, red chili pepper and mix together. Serve and enjoy! Enjoyed your meal very much I had fun making it and eating is the best time of day. The kids loved it also!!..!!..!!..!!..!!..!!..!!..!!..!!..!!..! !..